OAKLAND COUNTY, Mich. – Currently, there have been 41 confirmed measles cases in southeast Michigan related to the current outbreak. “In the event that we did have an exposure at one of the schools they would be prepared to exclude students,” said Leigh-Ann Stafford, an Oakland County Health officer. 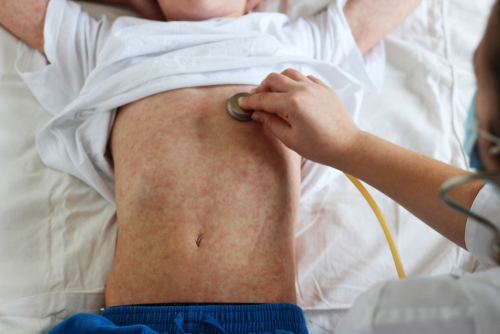 “We generally have students out for three weeks if they show signs, symptoms or are diagnosed with measles,” said Shawn Ryan, superintendent at Clarkston Community Schools. “We’re always looking at ways of making sure that not only our students are getting the right growth in terms of academics, but are supported medically,” Ryan said. One way is the district’s partnership with Clarkston Medical Group. It offers clinics at the elementary and middle school for students who have parental consent.